I’m decently familiar with US Non-Profit Laws (where I live) and have never really needed to look into non-profits in other regions. Usually it is fairly easy for my to look up stuff like board members, income, expenses, CEO compensation, tax deduction status, e.c.t. But, I cannot find anything like this for FDroid. a) Where can I find stats like income, expenses, key staff, board members and policy, e.c.t? b) Is FDroid tax deductible in the USA? c) Has/Is FDroid considered joining a Free Software Group like Software in the Public Interest or Software Freedom Conservancy? F-Droid is operated by F-Droid Limited, a non-profit organisation registered in England (no. 8420676). But then, this looks like a regular company, I cannot find a confirmation for the non-profit status. 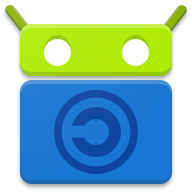 F-Droid is like Debian in that there is no one single official incorporated entity that represents all activities. The core infrastructure, including hardware and bandwidth, is handled by F-Droid Limited. The grants have mostly gone through Oliver+Coady, a New York company that handles most money things for Guardian Project. The most recent grant for website localization work is through my Austrian sole-proprietorship.